This information is currently available for taxing authorities in this county. 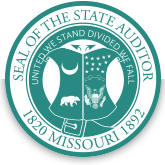 Some taxing authorities do not provide information to the State Auditor's Office. For that reason, taxpayers may be aware of taxes that are assessed in their local area but that are not included in the data above. Additionally, some political subdivisions such as school districts affect multiple counties, but only taxpayers in the school district are taxed for those entities, rather than all county taxpayers.